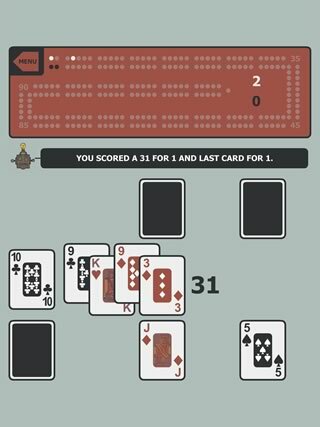 Play Cribbage against one of six different cribbage-playing robots. Each has its own skill level and playing style. 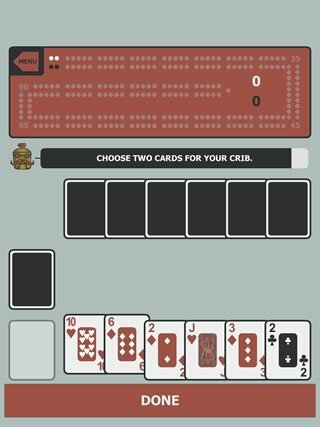 Cribbage vs Robots is a full-featured Cribbage game with easy-to-see cards, numerical and pegboard scoring, and simple tap-to-select gameplay. 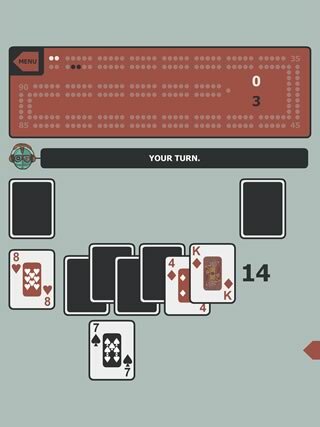 In addition to playing your cards, you can watch the robot play or tap to skip ahead. 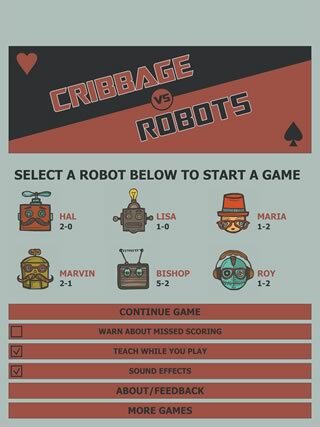 Cribbage vs Robots also features a teaching mode where the robot will guide you through the parts of the game so you can learn to play. You can also turn on a feature to prevent you from missing any scoring until you learn the ropes.